BBC Radio Scotland’s World War One At Home series is to feature the story of Earl Kitchener and the sinking of HMS Hampshire as part of a week of programmes from Orkney and Shetland. 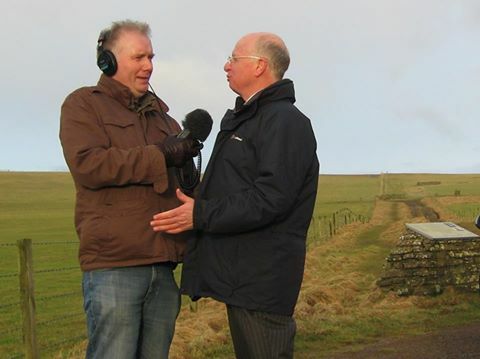 Neil Kermode, Chair of the Kitchener & HMS Hampshire Memorial project committee, is interviewed for the HMS Hampshire programme which will be broadcast on Tuesday (26 May), telling listeners about the warship’s sinking close to the Orkney coast with the loss of hundreds of men. Monday’s programme has Andrew Hollinrake – another of our committee members – talking about the importance of the Ness Battery at Stromness. Edwin Dunning, the first pilot to land an aircraft on a moving ship (in Scapa Flow), is the subject on Wednesday and on Thursday it is the turn of the Shetland Blockade. The programmes, each five minutes or so long, will be broadcast on Good Morning Scotland (0600-0900), John Beattie (1200-1330) and Newsdrive (1600-1830). The exact times for for the pieces being played are not available. And because these are live news programmes which react to the day’s news, there is always the possibility that a piece may be dropped. But don’t worry if you miss them. The stories are made available to listen online after broadcast via this page, which has a wealth of other fascinating material: www.bbc.co.uk/programmes/p01p33jl. 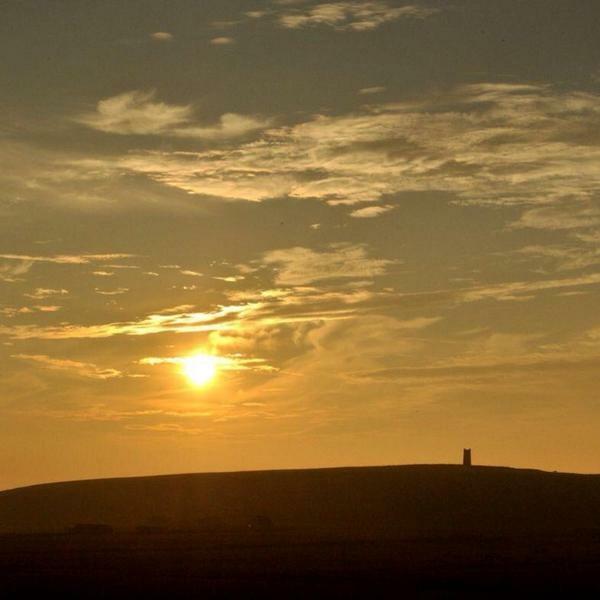 If you are new to the Kitchener & HMS Hampshire Memorial project, we aim to restore the Kitchener Memorial, situated on Marwick Head, Orkney, and create an adjacent HMS Hampshire commemorative wall, engraved with the names of all the men who were lost when the ship sank on 5 June 1916 after hitting a mine. If you would like to contribute financially to the £200,000 project please do so at justgiving.com/orkneyheritagesociety. Thank you for your interest. Hello again. First of all, good news since our last blog. As you may have read or heard if you live in Orkney, the Kitchener & HMS Hampshire Memorial project was awarded a £50,000 grant by Orkney Islands Council’s Community Development Fund sub-committee. This is a big step forward for our project, and work is going on behind the scenes to secure more funding towards the estimated £200,000 cost. I hope we will be able to bring you more news soon. In the last blog I wrote about the arc shape which was chosen for the HMS Hampshire commemorative wall, after public consultation. Since then we have applied to Orkney Islands Council for the necessary planning permission to build this wall next to the Kitchener Memorial. For those of you new to our Orkney Heritage Society project, we hope to restore the Kitchener Memorial, built in the 1920s to remember Earl Kitchener, a hero of the British Empire, and to create a low commemorative wall alongside on which will be engraved more than 700 names – all those who were lost, including Kitchener, when HMS Hampshire hit a mine off Orkney in 1916. Our aim is to have this work completed in time for the centenary of the sinking, on Sunday 5 June 2016, when commemorations will take place in Orkney. Details of how the day will unfold are being worked on, in co-operation with Orkney Islands Council, the British Legion, the Royal Naval Association and HM Armed Forces. But anyone planning to visit Orkney for that weekend may want to think about accommodation which could be in short supply. Please go to www.visitorkney.com or www.visitscotland.com/orkney – or contact Visit Scotland’s office in Kirkwall, Orkney on +44 (1856) 872856. Extensive research is being undertaken as part of our project. Already we have discovered many more men died than previously thought. We hope to arrange an exhibition about the loss of HMS Hampshire and a book is planned. If you have family memories or stories that you would like to share, please let us know. Completion of our project is, of course, subject to sufficient funds being raised through grants and public donation. If you would like to donate please do so at justgiving.com/orkneyheritagesociety/. Meanwhile, you can follow the progress of the project on Facebook (@Kitchener.Memorial), Twitter (@kitchenerorkney) and through this blog. Finally, thank you to Moya McDonald, of Another Orkney Production, and to Bryony Dixon, of the British Film Institute, for the recent screening in Orkney’s Pickaquoy Centre of the restored British silent film The Battles Of Coronel And Falkland Islands. This tells the story of two early First World War naval battles with compassion, humour and realism and is fascinating for anyone who is interested in naval history of the period.